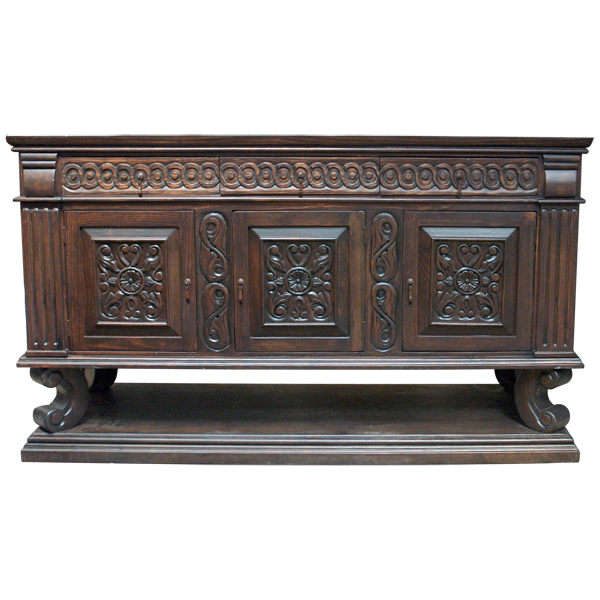 With its opulent, dark finish and spectacular, hand carved designs, this handcrafted, Western style buffet will be a focal point wherever it is placed. 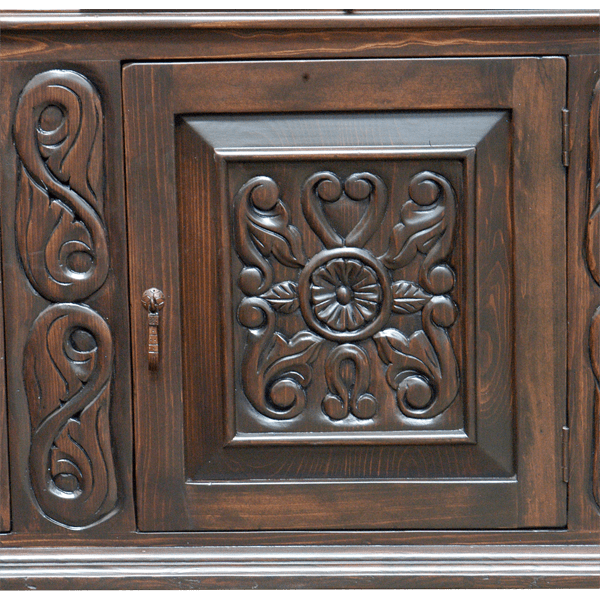 Directly below the open, wide top of the buffet are hand carved, circular, geometric designs that embellish the entire upper front and sides of the buffet. Both front sides of the buffet are adorned with ornate, hand carved, fluted uprights. The buffet features three, front, rectangular doors, and each door has a rectangular cut design. The doors are enhanced with gorgeous, hand carved, floral and scroll designs, and all the doors have a hand forged, iron handle on its side. On both sides of the middle door are exquisite, hand carved floral and scroll designs. 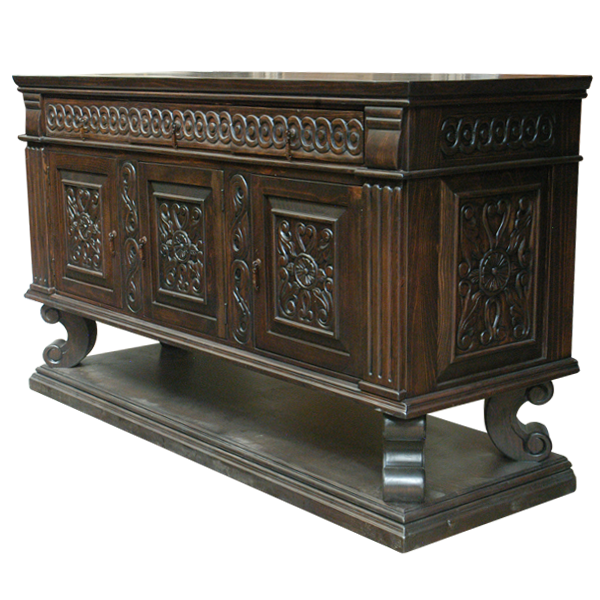 The buffet is supported by beautiful, hand carved, cabriole legs, and it rest on a solid wood platform. Each side of the buffet has a geometrical cut panel, accented with matching, hand carved, floral and scroll designs. The buffet is made with the best, sustainable, solid wood available, and it is 100% customizable.